Fine Quality Saddles made on the premises here at Red Rae Saddlery by our award winning Saddler at the Society of Master Saddlers Competition to provide you an exclusive service for you and your horse. This is the ultimate in superb craftmanship using the finest English Leather Hides money can buy. 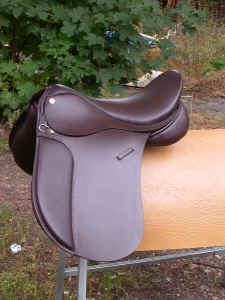 Deep French Calf seat for maximum stability, and a little flatness and width for comfort. Close contact wide bearing surface panels, with a generous gullet, for maximum comfort for your horses back. Pre-formed knee block of your choice. 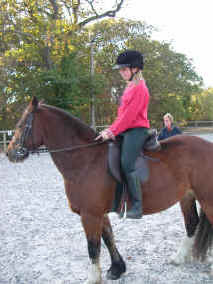 Choice of regular or adjustable stirrup bar. Thigh rolls optional. 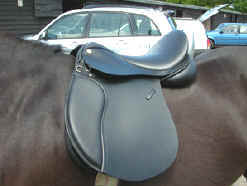 Sizes: 16 " 17" 18" 19"
This superb straighter cut saddle is ideal for working hunter and showing. Finest English Sedgewicks leather used, a must for any fine saddle. Flock filled panels with a generous gullet for spine clearance. 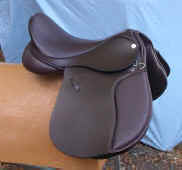 Sizes: 16 1/2" 17" 17 1/2" 18" 18 1/2"
This Unique saddle built on the specially developed tree offers ultimate comfort for the horse by mirroring the horses profile to achieve maximum even load bearing to spread pressure uniformly and minimize interference with the horses motion. 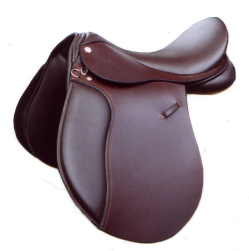 This medium deep wide seated saddle with it's high quality double layered rubber seat offers superb value. Wide bearing surface panels, with a generous gullet, for maximum comfort for your horses back. All hand made on our premises by one man from start to finish. Made and designed for the broad fitting difficult to fit ponys. Available in 14" 15" 16"
These unique belts are hand crafted by one man from start to finish, made from leather 5mm thick, and taken from the finest parts of the hide 6" either side of the spine of the finest grass fed from start to finish. These belts are unique with only 100 made per year. 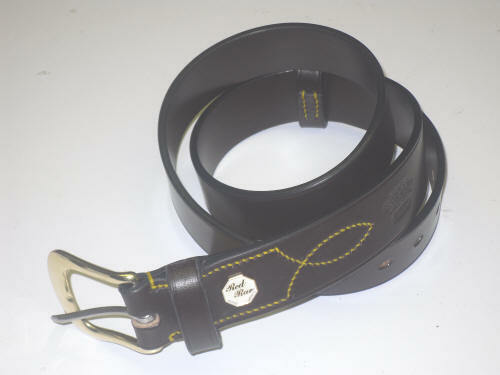 Brass buckles with steel pins to ensure strength, these belts are available to any size from 20" to 100"
Simply measure your waist and we will work out the rest. Please note do NOT MEASURE YOUR EXISTING BELT, just simply measure your waist with your trousers or your jeans on, by running the tape measure through the loops of your trousers until you discover your belt size, please remember normally the belt size is bigger than your waist measurement, because you are wearing a belt over jean material, which makes the measurement bigger, so we can get a accurate measurement of your waist size with trousers on please gents !